Large house with large rooms in great location! Hi! I'm Ted, I'm 27 and work in finance. 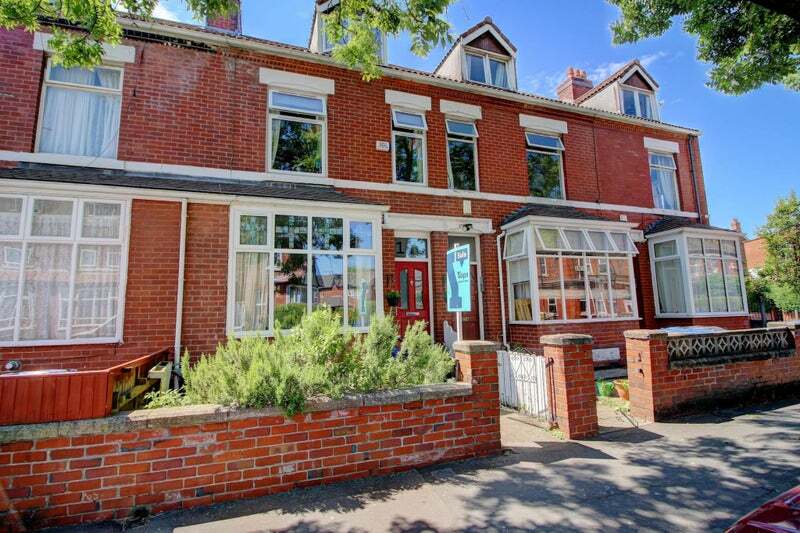 I just bought a house in Old Trafford which is next to the city centre, Chorlton and Media City and am looking for another housemate. Will the current housemate who will be staying is completing a PhD in English lit and works as a teaching assistant. The room will be available from January 18th 2019. 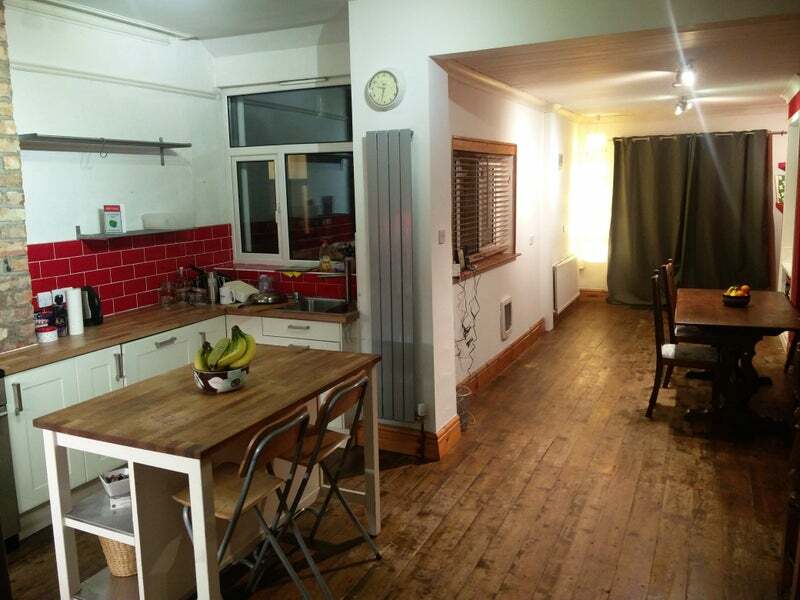 The rent is £400 per month for the room, bills are £100 a month each at the moment but we are in the midst of winter and the gas/electric provider needs to be changed so I would expect that to decrease. Me: Sociable outgoing guy. Passionate about martial arts (brazillian jujitsu, MMA), politics, travel. I'm aiming to keep the place clean but won’t be leaving anyone angry post-it notes for a plate in the sink. Very laid back, would love to have a sociable household and bring our collective friends over regularly. The house: Its big, there is a lot of natural light, wood floors and high ceilings. Superfast fibre broadband (up to 75mbs). Bedrooms - One of the rooms is a really large double with two massive fitted wardrobes and big windows looking out onto a leafy street. The other is a good sized double with one fitted wardrobe and looks out onto the garden. There will also be a spare bedroom for any of your friends who want to come over! Both bedrooms have brand new high quality mattresses. Bathroom - shared between yourself and the other person living with us. I have an en suite so wont be getting in your way! 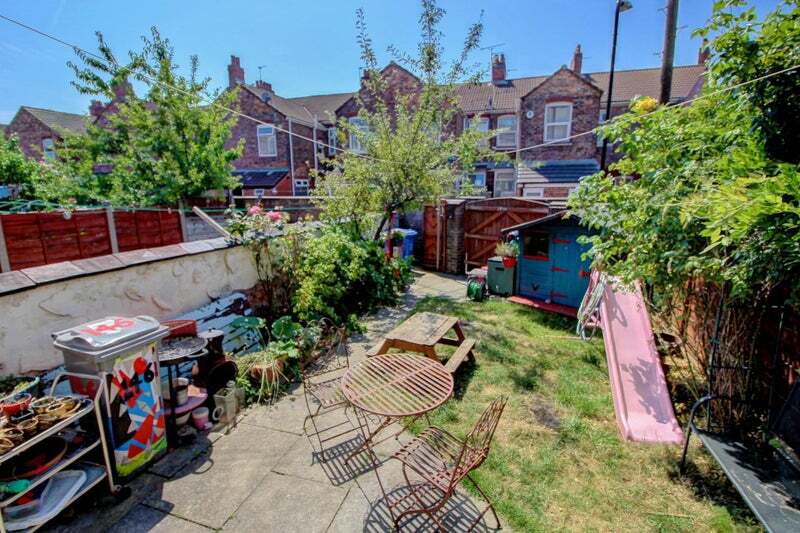 Garden: Its a sun trap, big enough for a BBQ but small enough that maintenance is minimal. The slide etc in the photo are gone but there is a shed! There are raspberry, strawberry and rhubarb plants among others. Living room: A good size, currently a sofa and two armchairs in there. Its a garish colour combination at the moment but that should be fixed by the end of the year. Big windows and very bright. Kitchen: Loads of space here, dishwasher, breakfast bar, big work surface, fancy oven and living area stretching to the garden. Its very red currently but I’m planning on changing this over Christmas. Basement: function over style here. Brand new washing machine and dryer. Being underground means no disturbance while you sleep! I have a pipedream of putting a gym down here but no promises on timescale! 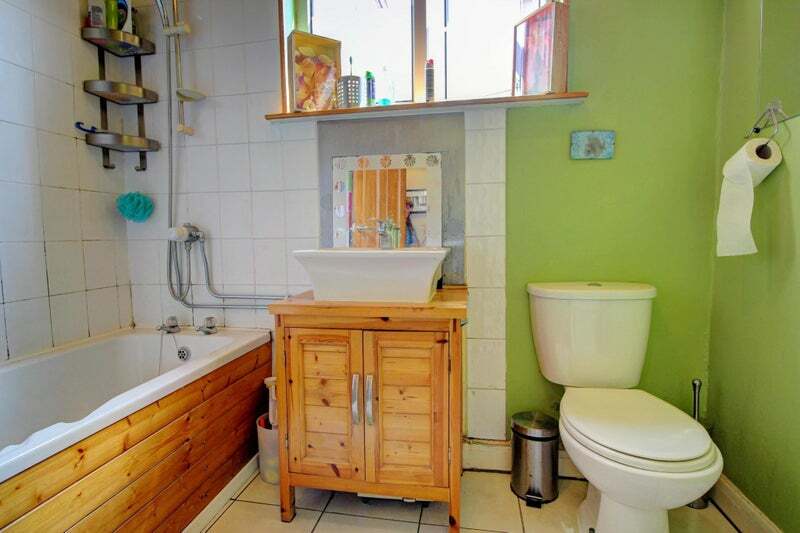 Also a small bathroom here (just a toilet and sink). 25 minute walk to deansgate locks and deansgate station in the city centre. If you cycle you can get right across town to the Northern Quarter in 20 minutes. There is a tesco metro a 4 min walk away and the giant ASDA in Hulme is a 15 minute walk.